The real essence of technology is; its ability of solving problems. With this in mind, great innovations have surfaced tending to solve human problem as little as they can. Today i will be introducing to you a new innovation which tends to solve the problem of buying candle sticks and the problem of buying kerosene for your lantern. This innovation is called LuDela Smart Candle. This candle comes in different variants, the changes are in the body styles and scents. What is LuDela Smart Candle? LuDela Smart Candle is more like an ordinary candle in real sense but goes way much more than that, it is made up of a candle shell, paraffin-free wax, silicone contraption and a non-toxic wick and produces real flame. According to the company, the flame is produced from four electric nodes that ignite the wick by Wi-fire technology. 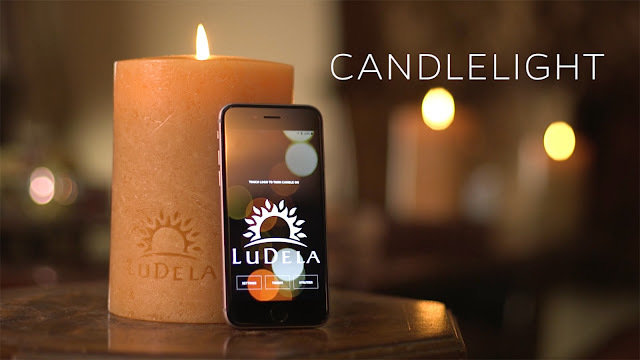 This LuDela Smart Candle can be powered ON and Turned OFF remotely using an application in a smart phone. The flame of the fire can produce specific effects as the application comes with different scene modes, in unsafe situations, the LuDela smart candle turns off automatically and also sends an alert to your smartphone if there is an emergency and you can protect this smart candle with a password. This candle exterior part do not diminish just like the normal candle and can be refilled by the company at an undisclosed price. The batteries only need recharging every 6 months to keep the smart features and Bluetooth connectivity functioning. LuDela Smart candle is available for pre-order at the LuDela website for $99.